The UK’s Draft Data Communications Bill – aimed at making it easier for authorities to spy on electronic communications – will be useless and quite dangerous if enacted, says Wikipedia founder Jimmy Wales. “It will force many relatively small companies to hang on to data that they would not otherwise retain, which puts the data at risk,” he told attendees at the RSA Conference Europe 2012 in London. Jimmy Wales raised these and other concerns in September before a special select committee of MPs and peers hearing pre-legislative evidence on the proposed Bill announced in May. Supporters of the Draft Data Communications Bill claim it is necessary to allow law enforcement to act effectively against criminals, terrorists and paedophiles who use these communication channels. But Wales contends the legislation is redundant. Authorities can and do get any information they need to support investigations from internet service providers such as Facebook, Twitter and Wikipedia. Wales believes the security risk posed by smaller companies archiving data will drive everyone to encrypt communications, which will make the legislation useless. 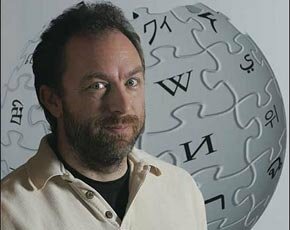 Wales told the parliamentary select committee in September that Wikipedia would encrypt all its connections to the UK if local internet service providers (ISPs) are required by law to keep track of every single page accessed by UK citizens. Wales told journalists that Wikipedia’s technical staff feels encryption is a good idea and Google’s plans to move in this directions means it is practical. But Wales added that, although he believes encryption will come eventually, Wikipedia had no definite timetable for the move. Wales is talking to the UK government about his concerns around the Draft Data Communications Bill and the need to find more effective and less intrusive means to help law enforcement. But he said Wikipedia would not get involved in general political issues. “Members of the Wikipedia community have diverse political views; we will take action only against those things that specifically threaten freedom of speech and openness on the internet,” he said. Wikipedia took its English language site offline in January in protest at proposed US anti-piracy legislation PIPA and SOPA. In the US, Wikipedia provided a contact number for Congress, which voted to review the legislation after receiving around 10 million protest calls from citizens. “I am not pro-piracy. It was a strike against bad legislation that would have been dangerous for the health of the internet,” said Wales. Wales said censorship and intrusive legislation is a serious and constant threat. “It is mainly well-meaning but misguided legislation created bumbling legislators who don’t know what they are doing,” said Wales. Asked what he saw as the next threat to freedom of speech on the internet, Wales said he was keeping an eye on moves around internet governance by the International Telecommunication Union (ITU). The UN agency plans to update its International Telecommunication Regulations (ITRs) at the World Conference on International Telecommunications (WCIT) in Dubai in December. Some members fear the changes will lead to centralised control by the UN, but the ITU has denied accusations that it seeks to control the internet. “The US is dead set against proposals from ITU members such as Russia and China, so I think there is sufficient will to block any changes to internet governance,” said Wales. In August, the US House of Representatives passed a resolution aimed at preventing any efforts to hand the United Nations more power to oversee the internet. “Freedom of speech is the most important issue and I will continue to support it,” said Wales. Although there is often a tension between security and freedom, security is essential to freedom, especially those using the internet to fight against repressive regimes, said Wales.